This fabulous roof structure has come up a treat. 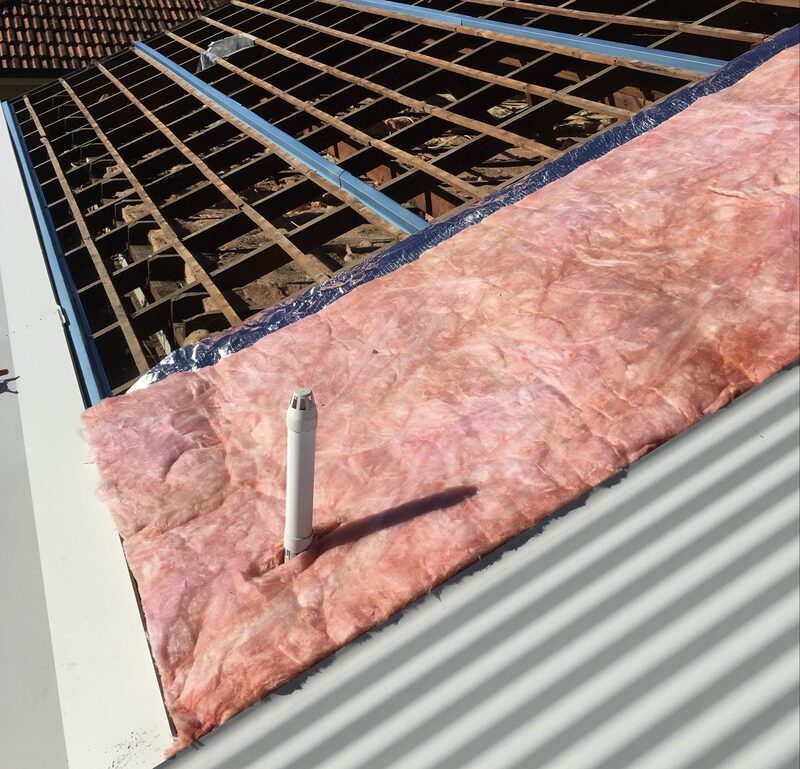 Tile to Colorbond and metal re-roof transformation in Kincumber, using 0.48bmt Custom Orb and Kliplok sheets. 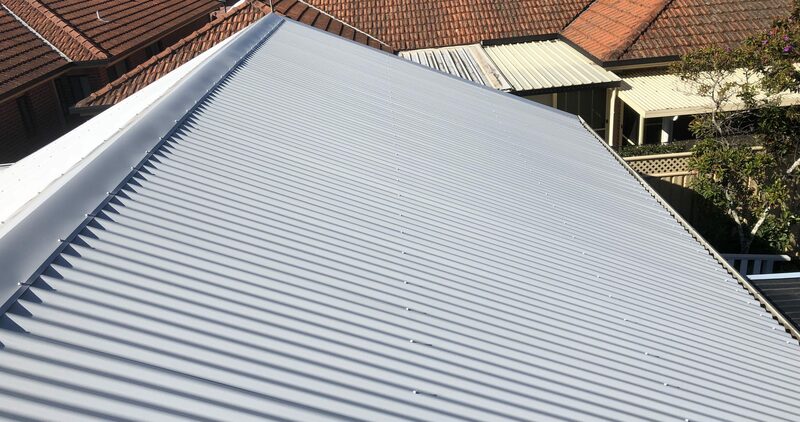 The main roof with Custom Orb sheets are in the colour Shale Grey and the Kliplok flat roof areas are in Surfmist. No gutters were replaced on this property. 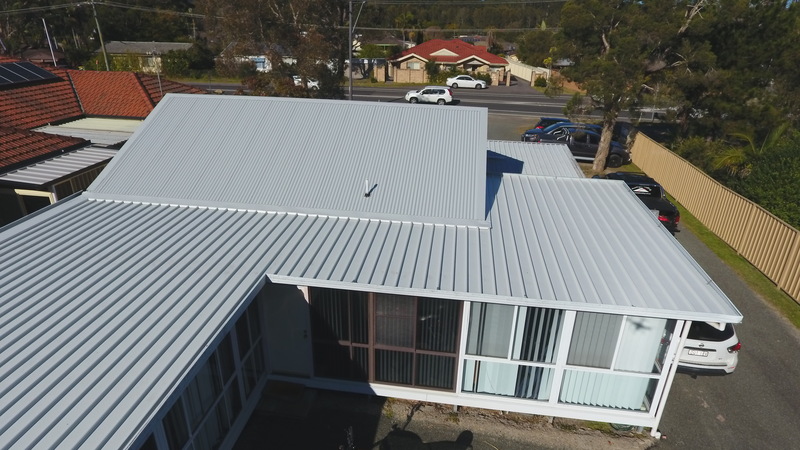 See the Kincumber Colorbond Metal Roof here.